Veneers have been around for awhile, but recent advances in dentistry mean that porcelain veneers are better than ever. Combining the best in restorative and cosmetic dentistry, a set of porcelain veneers can quickly give you the smile you have always desired. 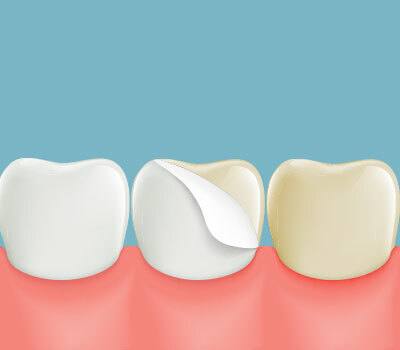 In fact, porcelain veneers can solve a large variety of problems such as large, unattractive gaps between your teeth, badly stained teeth, misshapen teeth, and chipped teeth. We do not fit the veneers to the teeth; we tailor the veneers for your smile. It begins with a one on one conversation with Dr. Chang about what you want your smile to be, and from there we begin the SMILE DESIGN! With our special process, you will be able to see yourself with a new smile and be confident knowing there won’t be any surprises. We want your new smile to be AMAZING! For long-lasting veneers that give you a picture-perfect smile, call Bloomvale Dental at (951) 325-4600 and receive swift service in a comfortable setting.